Sales and marketing firm F.A.S.T. Global Marketing launch a new look for their website to aid their expansion plans. F.A.S.T. Global Marketing have outlined the importance of taking the time to invest in your brand to make sure that it is something to be proud of. F.A.S.T. Global Marketing recently launched a new website in order to aid with their upcoming expansion plans. The firm felt a new website would attract more attention to their brand and would clearly outline their business mission to attract suitable candidates. The simplistic, video-aided design perfectly outlines the company’s goals, what they do, their services, their clients and their latest news. F.A.S.T. Global Marketing believe that the video offers an added layer to the website, clearly honing in on their Chicago roots. The firm has also chosen bold colors which match their logo and stick to their branding so it is easy to recognize. F.A.S.T. Global Marketing have chosen an impactful design that they believe captures the attention of the user. The layout is also extremely easy to navigate and quick to use. The firm state how this is vital as a website that is complicated will be unusable and will not help visitors to find the information they need. F.A.S.T. Global Marketing have outlined the importance of taking the time to invest in your brand to make sure that it is something to be proud of. The firm also revealed the importance of making sure the brand is recognizable and that people can identify with the colors, look and feel of the brand to associate it with the company name. F.A.S.T. Global Marketing state that one of the most important things for any brand is to make sure their website is easy to use and mobile optimized, so that a user can access it any place and any time. 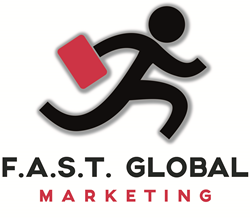 F.A.S.T Global Marketing is an outsourced sales and marketing firm based in Chicago, Illinois. The firm specializes in a personalized form of marketing which allows them to connect with consumers directly on behalf of their clients’ brands. By using face-to-face marketing techniques to establish long-lasting and personal connections between brand and consumer the F.A.S.T. Global Marketing are able to increase their clients’ customer acquisition, brand awareness and brand loyalty. The firm offer their services on a ‘no win – no fee’ basis which means they are able to guarantee a high return on investment even in times of economic downturn. This is therefore a hugely cost effective source of marketing for their clients. F.A.S.T. Global Marketing aim to grow their workforce and believe that the clearly defined goals on their new website will help to attract quality candidates and therefore encourage business growth.